Britain is known as a nation of gardeners and we all want to take pride in our little patch. Unfortunately, getting a garden that fills us with joy isn’t always straightforward and we often need a little green-fingered helping hand in the form of high quality fertilisers. Whether you’re aiming for fabulous flowers, vibrant vegetables or a mixture of the two, Proctors range of fertilisers can get your garden bursting with healthy growth. 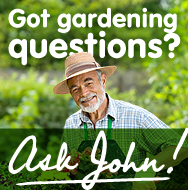 Whatever your needs, we will be happy to discuss them with you and find the perfect product to get your garden growing strong. You can buy Proctors full range of fertilisers for your garden direct from our online shop or by giving us a call on 0117 311 1217. For more information, please call us or fill out our contact form for a quick response. With some many different fertilisers on the market, it can be really tricky to pick the right one for your plants. There are two main issues you need to consider, the type of plants you want to grow and the soil conditions you’ll be growing them in. Proctors offers a full range of fertilisers for fruit, vegetables and flowers, perfect for the home gardener or horticulturalist. If you’re not sure exactly which one you need, our team will be more than happy to advise you, so please feel free to get in touch. Understanding your soil conditions makes a huge difference. We offer soil sampling kits for just £15 so you can collect a soil sample and post it to us for independent testing. We’ll let you know the results, usually within 8 working days, and help you choose the right fertiliser based on the findings. Is it time to go organic? Organic and conventional fertilisers both have their advantages and we understand that many people feel very strongly about this issue. Proctors offer a wide variety of organic fertilisers and conventional fertilisers and we’ll be happy to discuss the relative merits of each with you, so you can make up your own mind. Proctors has been in the fertiliser game for over 200 years, supplying everything from humble patio gardens to grand stately homes. All that experience means our products have been refined to an unbeatable quality and gives us the expertise to help you select the very best products for your specific needs. To find the perfect fertiliser for your garden, head over to our online shop or give Proctors a call on 0117 311 1217. If you need further information, please call us or fill out our contact form for a quick response.